Designed for use in schools, pre-schools and nurseries the Rainbow 1-24 Classroom Number Mat is ideal for teaching basic numeracy skills. The distinctive and brightly coloured child friendly design encourages learning through interaction and play. It features 24 rainbow coloured counting squares which is ideal for use in a classroom reading corners or play areas. In addition, the classroom rug features tightly bound edges which prevent fraying and the tuft strands meet heavy duty laboratory pull tests. Our classroom rugs meet essential safety standards EN71 Parts 1, 2, 3 and come with a 1 year manufacturer’s warranty. The crease resistant classroom rug allows you to roll up and store it away when not in use without the worry of long term creasing. This anti-stain number mat can also be wiped down or spot cleaned with a damp cloth. 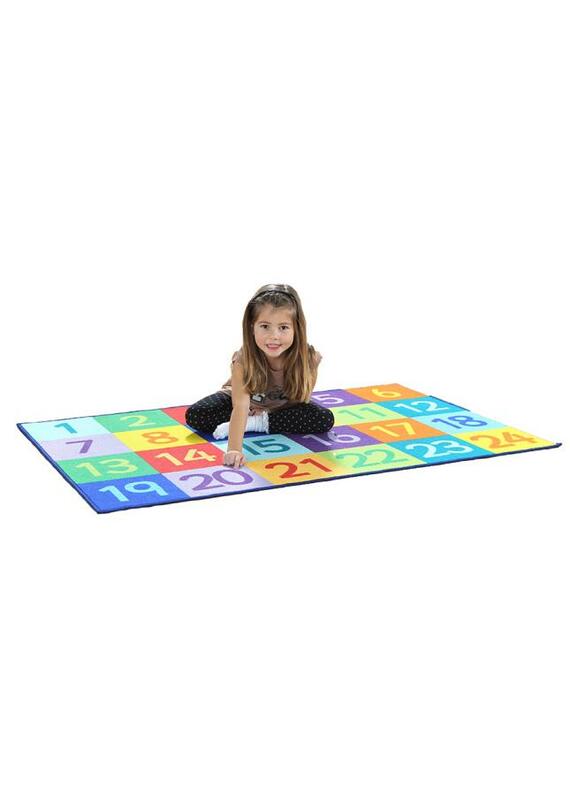 Also available in Rainbow 1-100 Classroom Number Rug.